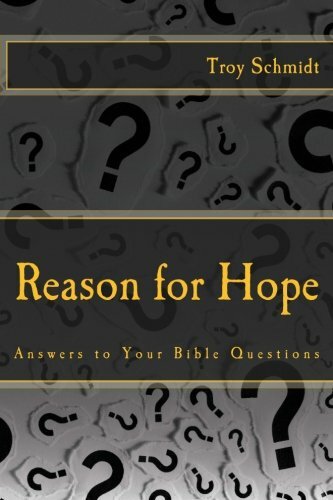 Reason For Hope: What physically happened to Jesus at a crucifixion? What physically happened to Jesus at a crucifixion? A number of theories that attempt to explain the circumstances of the death of Jesus on the cross via medical knowledge of the 19th and 20th centuries have been proposed by a range of people, including physicians, historians and even mystics. 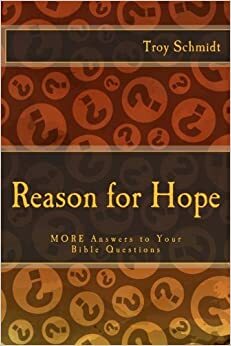 Most theories proposed by trained physicians (with specialties ranging from forensic medicine to ophthalmology) conclude that Jesus endured tremendous amounts of pain and suffering on the Cross before his death. In 2006, general practitioner John Scotson reviewed over 40 publications on the cause of death of Jesus and theories ranged from cardiac rupture to pulmonary embolism. Bronzino’s Deposition of Christ -- As early as 1847, drawing on John 19:34, physician William Stroud proposed the ruptured heart theory of the cause of Christ’s death and it influenced a number of other people. The asphyxia theory has been the subject of several experiments that simulate crucifixion in healthy volunteers and many physicians agree that crucifixion causes a profound disruption of the victim’s ability to breathe. A side effect of exhaustive asphyxia is that the crucifixion victim will gradually find it more and more challenging to obtain enough breath to speak. This provides a possible explanation for the accounts that the last words of Christ were short utterances. The cardiovascular collapse theory is a prevalent modern explanation and suggests that Jesus died of profound shock. According to this theory, the scourging, the beatings, and the fixing to the cross would have left Jesus dehydrated, weak, and critically ill and that the stage was set for a complex interplay of simultaneous physiological insults: dehydration, massive trauma and soft tissue injury (especially from the prior scourging), inadequate respiration, and strenuous physical exertion, leading to cardiovascular collapse. In her 1944 book Poem of the Man God Italian writer and mystic Maria Valtorta (who had no medical education) provided a very detailed account of the death of Jesus that supports the cardiovascular collapse theory, compounded by partial asphyxiation, and she wrote that the account was dictated to her by Jesus himself in a vision. Endocrinologist Nicholas Pende expressed agreement with Valtorta’s account and expressed surprise at the level of detail in which Valtorta depicted Christ’s spasms in crucifixion . Writing in the Journal of the American Medical Association, physician William Edwards and his colleagues supported the combined cardiovascular collapse (via hypovolemic shock) and exhaustion asphyxia theories, assuming that the flow of water from the side of Jesus described in the Gospel of John[19:34] was pericardial fluid. Some Christian Apologists seem to favor this theory and maintain that this medical anomaly would have been a fact that the author of the Gospel of John would have been tempted to leave out, had he not been interested in accurate reporting. In his book The Crucifixion of Jesus, physician and forensic pathologist Frederick Zugibe provides a set of theories that attempt to explain the nailing, pains and death of Jesus in great detail. Zugibe carried out a number of experiments over several years to test his theories while he was a medical examiner. These studies included experiments in which volunteers with specific weights were hanging at specific angles and the amount of pull on each hand was measured, in cases where the feet were also secured or not. In these cases the amount of pull and the corresponding pain was found to be significant. Pierre Barbet, a French physician, and the chief surgeon at Saint Joseph’s Hospital in Paris, advanced a set of detailed theories on the death of Jesus. He hypothesized that Jesus would have had to relax his muscles to obtain enough air to utter his last words, in the face of exhaustion asphyxia. Barbet hypothesized that a crucified person would have to use his pierced feet to lift his body in order to obtain enough breath to speak. Some of Barbet’s theories, e.g., location of nails, are disputed by Zugibe. In 2003, historians FP Retief and L Cilliers reviewed the history and pathology of crucifixion as performed by the Romans and suggested that the cause of death was often a combination of factors. They also state that Roman guards were prohibited from leaving the scene until death had occurred.